The final day of our drive across Canada. About 6,200 km in the log book and another 100 or so to go, just a skip and a jump down from Chilliwack to Vancouver. The shortness of the journey did not influence the alarm clocks. Off they went again at 4:45 am and by 6:00 am or so we were off out of Groovy town, fortified with Tim’s and down the road. You might think that after so long in the seat we would have it all under control, but no, not quite. We forgot that one of the support vehicles was due for some juice. So we worked out a “Nav” route to get us to a 24 hour Shell gas station with diesel to quench the VW Tuoareg’s thirst. With that accomplished we headed over the road to an excellent breakfast place run by a charming lady originally from Seoul, South Korea. 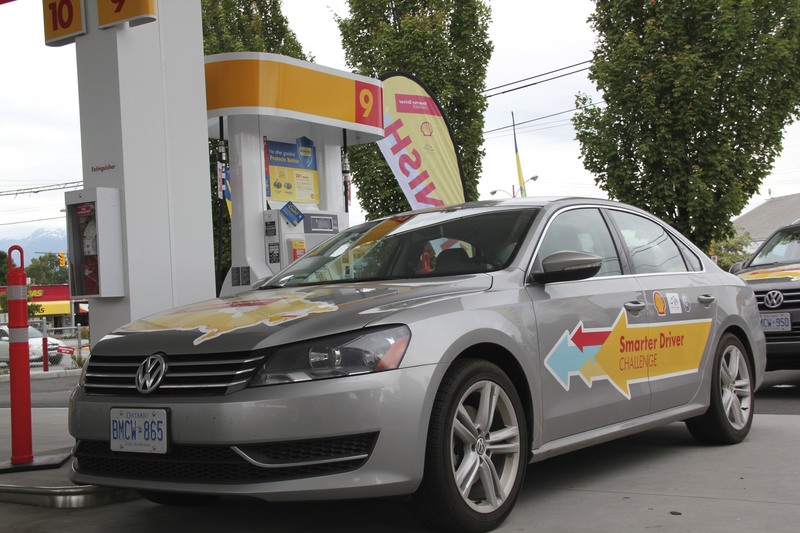 At 9:30 am we departed for the final destination in #YVR-Shell at Main St East and 2nd Avenue. Quite a nervous last leg really as all of us were thinking about the fuel efficiency figures and how they were getting affected by the busy down town traffic. But we made it in, greeted by all kinds of TV cameras and the final fuel efficiency figures were brilliant. A world record was set for others to follow. If you are interested in that, I wish you every success!